Hi guys! It's been a hot minute since I posted here but I'm trying to move my blog to my own platform but between working full-time and dying from the heat here in Sweden it's taking a while. But today I'm back with the first proper post from Kos. Finally! 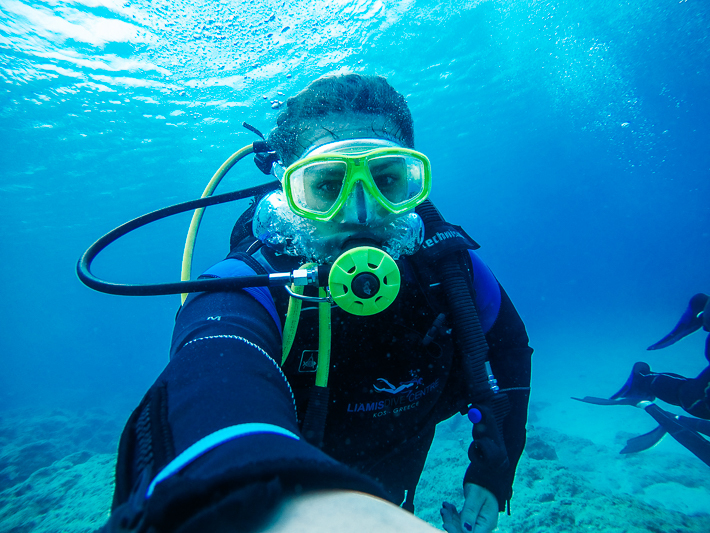 Kos was an amazing island and if you're looking for adventure I would recommend Kos! 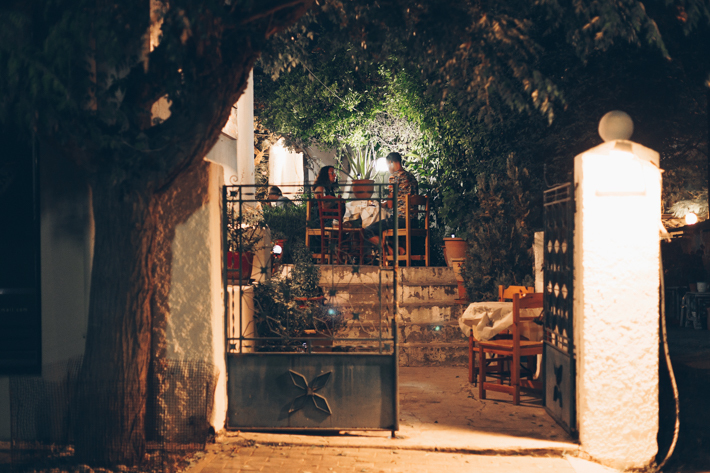 If you are planning to go to Kos soon (or in the future) this is the right post for you. 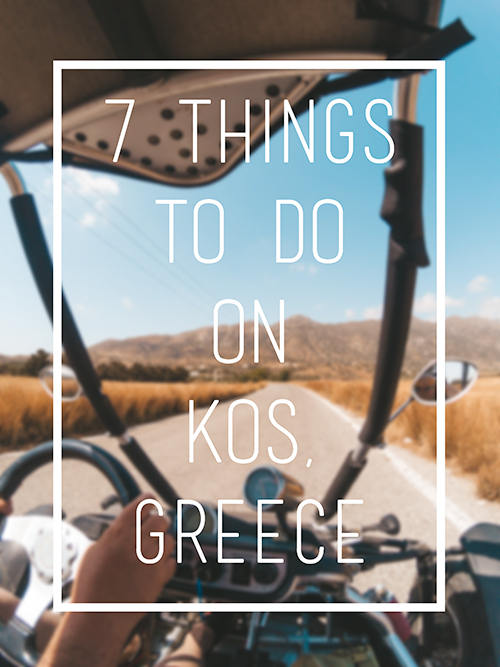 Here are 10 things to do on the island of Kos! This is a must! Everyone rents a bike on Kos and you will understand why. The island is quite small and if you're staying in Kos town the easiest way to get around is by biking. There are bike roads all over Kos. So rent a bike and explore your surroundings! We payed €18 for the entire week. One of our favourite places to visit was Therma beach. Therma beach is a beach up in the mountains with hot springs! And amazing snorkelling! We didn't swim in the hot springs (because it was TOO HOT in the middle of summer) but we swam outside in the ocean. Because of the hot spring water running out into the ocean there's plenty of fish hunting for fish in the area so it's perfect if you like snorkelling. It is possible to bike there but beware that it's on the other side of a mountain and that you will have to bike over the mountain. We biked there and were fine but you can also take the local bus, rent a car or a buggy for the day. We tried to find as many restaurants as possible that were mostly visited by the locals instead of eating at the tourist restaurants. Our rule of thumb was: if they got pictures of the food on the menu. It's bad. We were right every single time. My favourites were Alla ki alla, Never on a sunday and Ali! 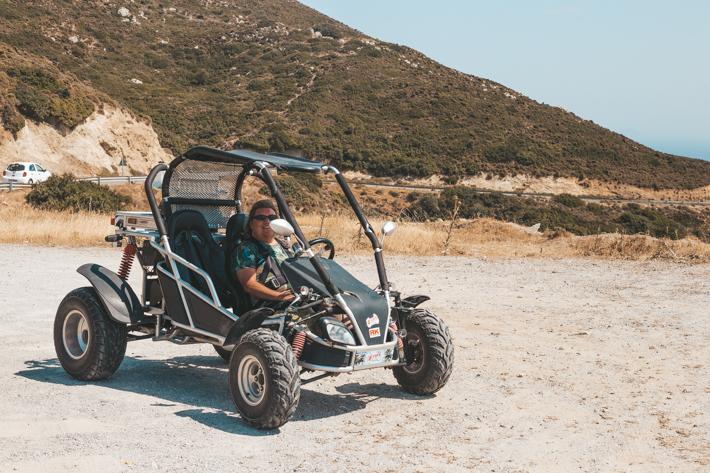 One of the most fun things I have EVER done was driving a buggy around the island! It was so much fun. We rented the buggy for an entire day and drove to so many different locations that we would've missed otherwise. We checked out different small villages, beaches and we even drove up in the mountains. I believe we payed around €50-60 for the entire day + some gas. It was totally worth it! Zia is a small village up in the mountains and the view from up there is amazing. We were recommended to watch the sunset from up there but unfortunatley we didn't for various reasons, but I would believe it's stunning! From Zia you can also hike up even further in the mountains as there's a nature reserve. We were planning on hiking up but realised that it would be dangerous in the hot sun as it was almost 35°C during our week on the island. Pro tip: Go to Zia on a Sunday! 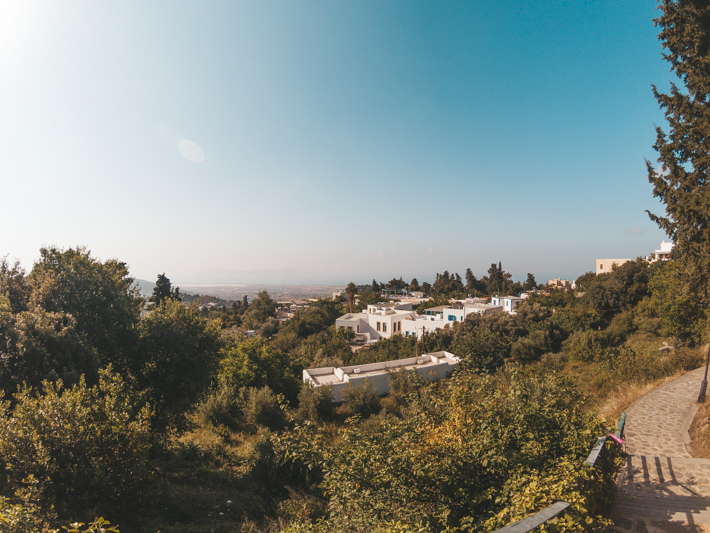 There are no local buses or tourist buses to Zia during Sundays but everything is still open = no tourists and you will have the small town to yourselves!